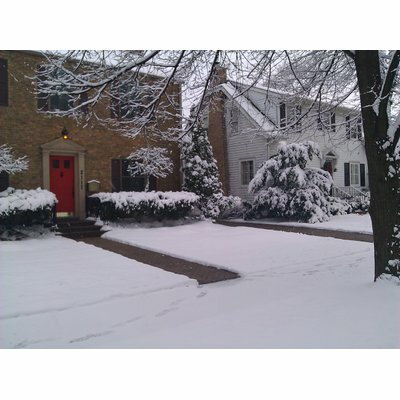 Find and compare compatible snow melting systems for your project. 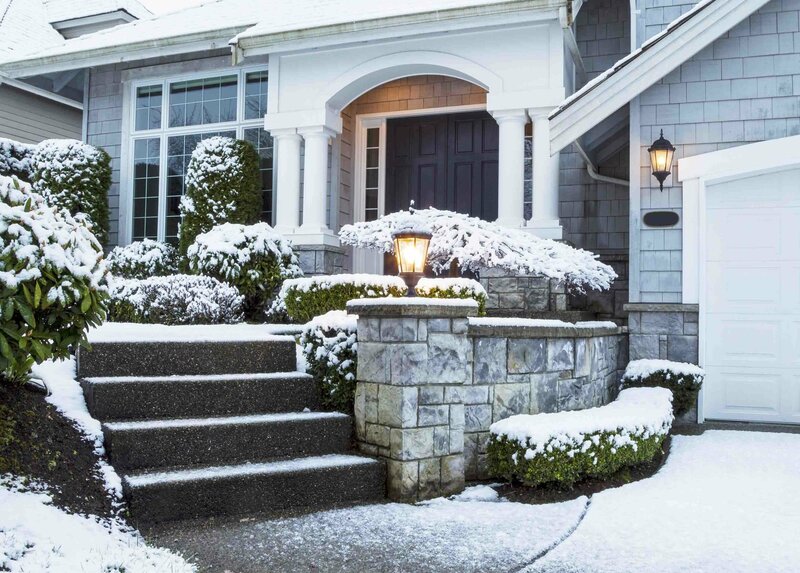 Snowy winters can be a pain, especially when you have to shovel and salt your driveway, patio, walkways or stairs all season long. But with our snow melting systems, you can stay comfortable inside and let them do the work for you. 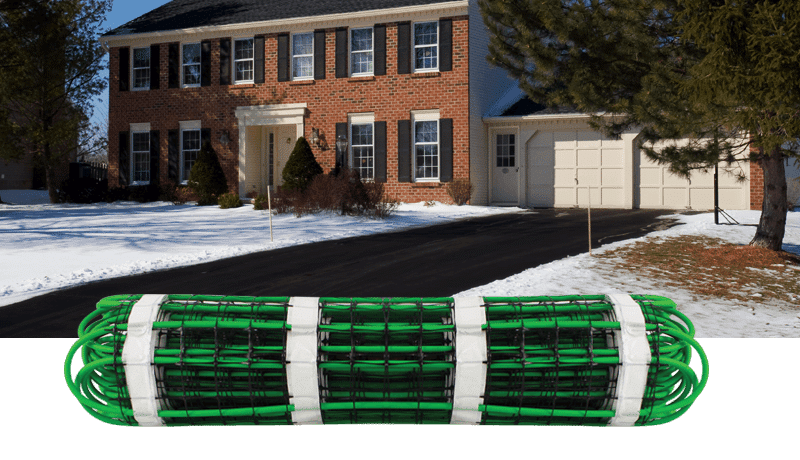 We offer a selection of snow melting systems that heat driveways, patios, walkways, or stairs and can be installed in asphalt, concrete, or under pavers in mortar. 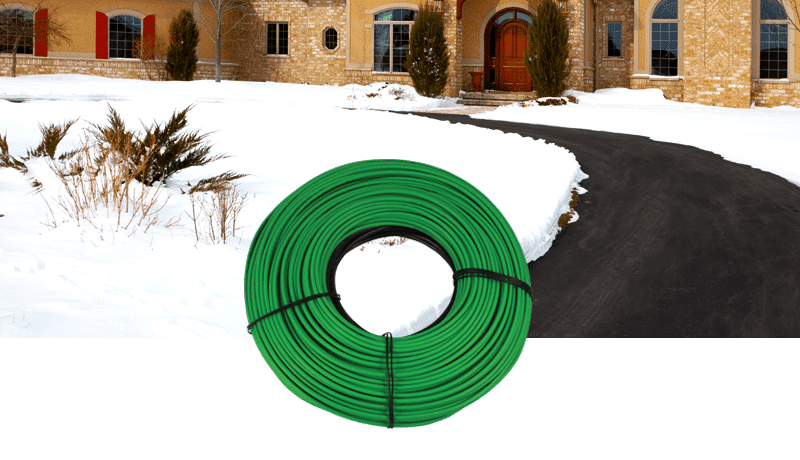 Our snow melting systems are available in two formats: mat and cable. 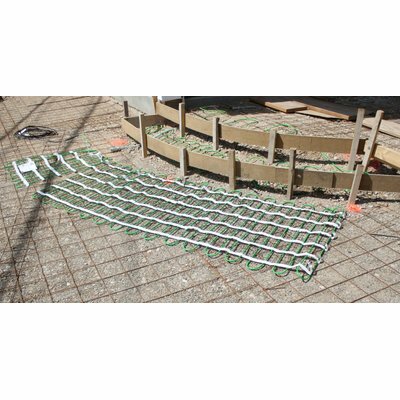 The mats are designed to deliver 50 watts of heat per square foot and allow for quick and easy installation. The cable system allows for maximum flexibility and generates 12 watts per linear foot. Our systems are available with a selection of different controls, each with different specifications to sense things like air temperature or moisture on the pavement. $10 - $20 per sq. ft.
Up to 50 Watts per sq. 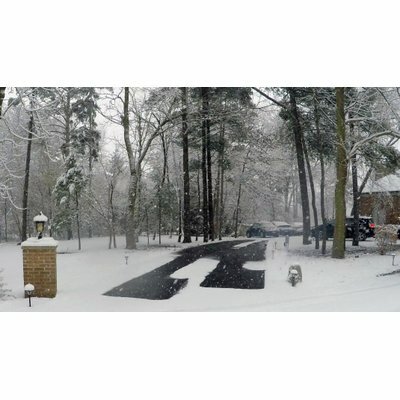 ft.
Our snow melting systems can be used to keep nearly any outdoor surface clear of snow and ice. 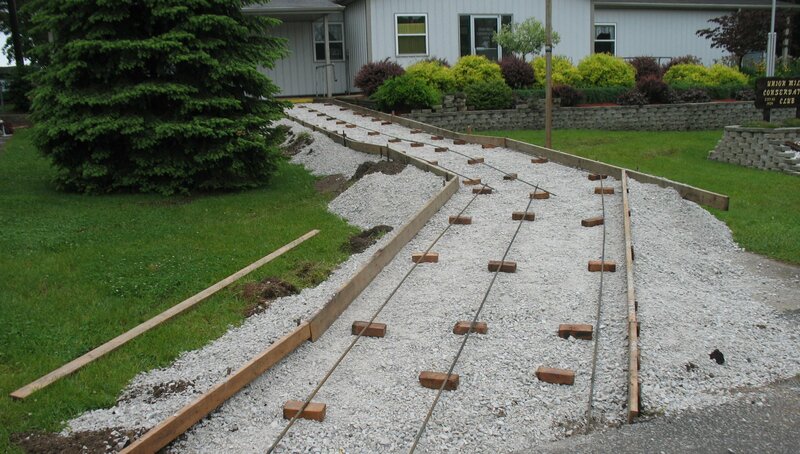 From heated driveways to outdoor kitchens, WarmlyYours has spent many years helping heat a huge variety of projects. 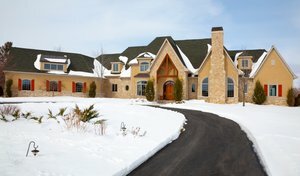 Check out some of our Snow Melting Design Guides with great install photos, product pricing information, and much more. No More Shoveling Finally put away the rock-salt and shovels and start enjoying winter again. No Harmful Chemicals Do away with chemical melting agents, which will be easier on your pets and your vehicles. Peace of Mind Melts the ice and snow, providing a safe passageway for you and your family, as well as guests to your home. Easy to Install No pipes, boilers, tubing, tanks or noisy pumps to install. Affordable Most systems are inexpensive to run and require no regular maintenance. Safe CSA certified for outdoor use in the US and Canada. 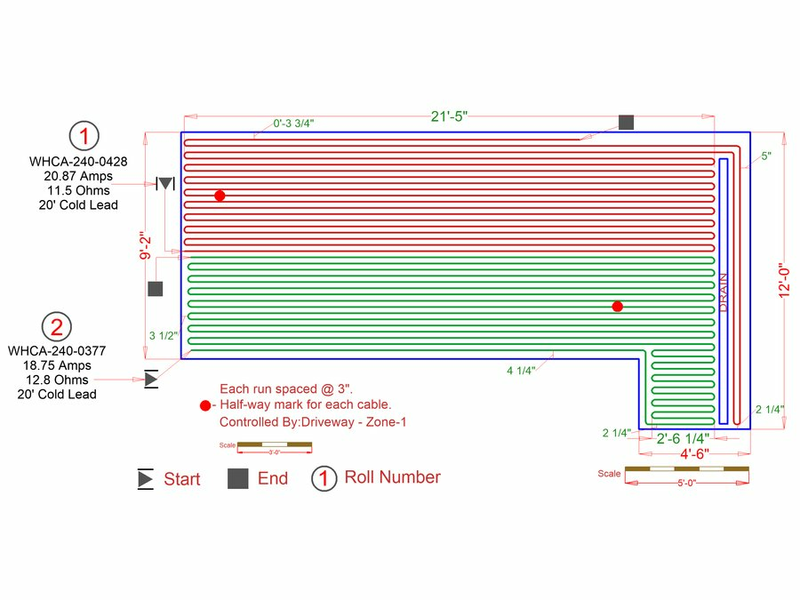 WarmlyYours provides free design services to make sure that customers purchase the heating system that best meets their project requirements. Depending on the floor type and the shape and size of a room's layout, the size and placement of heating mats will differ. 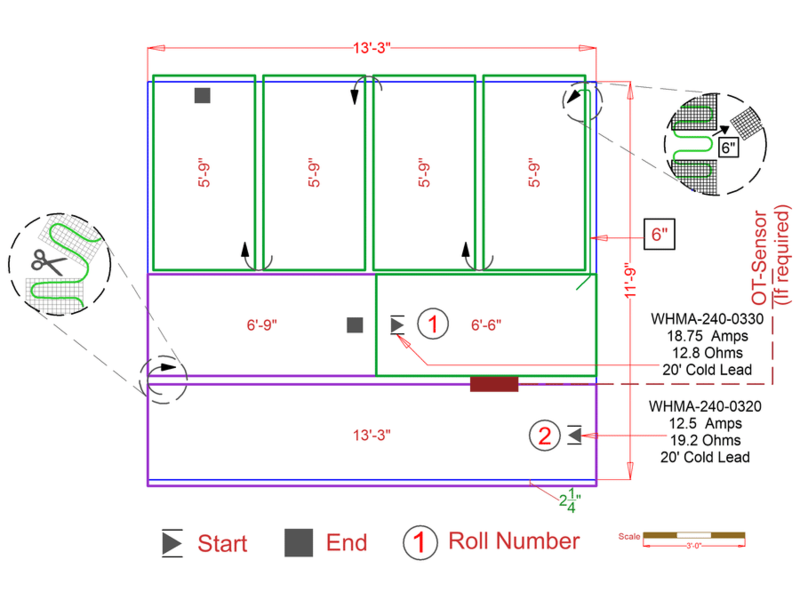 Free Installation Plan We provide a free, no-obligation SmartPlan™ with every quote, often within 1 day. 24/7 Installation Support We're here to answer your questions every day – year round – round the clock. Fast Shipping & Simple Returns With same day shipping nationwide, we're committed to getting your order to you on time. Plus, we don't charge restocking fees for unused products. Unbeatable Warranty All of our heating systems are backed by our industry leading warranty, with coverage for both labor and materials on most installations. Rated 4.8 / 5 based on 24 reviews. As a DIY, I really appreciated the snow melting cable because it is so heavily jacketted I had no trouble with damage, testing the cable before and after proved that it withstood whatever it had to during installation. I love that it has a built-in return connection; meaning the cable doesn't have to make the 'run' back to the relay panel - this made the install so much easier.